Customized geospatial exploitation services provide solutions for the defense, homeland security, and aerospace markets. You don’t have to work for huge organizations, such as the U.S. Air Force or the U.S. Forest Service, to appreciate the benefits of customized geospatial exploitation services or capabilities. Even small companies and public agencies are increasingly challenged with extracting meaningful, accurate, and actionable in- formation from the flood of imagery generated by satellites, UAS, and terrestrial scanners. As the volume of this geospatial data grows exponentially, analysts need to focus on the most relevant data for them from potentially hundreds of images a week of the same geographic extent. Tools initially developed for large national agencies are increasingly automating their more mundane tasks so as to better enable the agencies to focus on making those decisions that computers are not yet capable of making. For nearly a quarter century, Textron Systems’ Geospatial Solutions Business Unit has been providing the core imagery exploitation capability for the National Geospatial- Intelligence Agency (NGA), its primary customer, and its precursor organization, as well as building a variety of other geo- spatial exploitation capabilities. It differentiates itself from its many competitors in the geospatial industry by “pro- viding precise geospatial data and being able to handle large amounts of data,” according to Matt Morris, the company’s director of Integrated Solutions. Morris, who has been with Textron for 15 years, started as a software engineer spe- cializing in automated feature extraction technologies and helped to build some of the core products that the company continues to support today. He then transitioned to overseeing its Integrated Solutions department, which focuses on military and commercial contracts to build customized ge- ospatial exploitation services or capabilities. As a segment of the larger Textron entity, Textron Systems focuses on providing solutions for the defense, homeland security, and aerospace markets. “The breadth of our capabilities is pretty far-reaching, but our core areas are in the unmanned aircraft systems, our Shadow and Aerosonde platforms,” Morris points out. In addition to its Geospatial Solutions business unit, Textron has business units that build intelligence solutions for the Army, build testing and training systems for aircraft and UAS platforms, and provide performance- based logistics for a variety of military programs. What is now Textron Systems’ Geospatial Solutions Business Unit used to be Overwatch Systems, based in Missoula, Montana, where it still has an office. “Our core focus is on providing advanced geospatial and imagery exploitation capabilities to the DOD, intel, and he commercial market spaces,” Morris summarizes. Textron provides the NGA’s core imagery exploitation capability on their main system through its RemoteView product. It also builds a variety of other geospatial exploitation capabilities, including Feature Analyst, LIDAR Analyst, and several add-on capabilities for RemoteView that deal with processing full-motion video data, 3D modeling, and simulation. One of Textron’s products allows interoperability to Esri’s ArcGIS product suite; another one, a data-management and data-indexing program called GeoCatalog, allows organizations to index and retrieve geospatial data through a variety of associated metadata. “All of these technologies are focused on providing optimized work flows to deliver precise, actionable intelligence products,” says Morris. The volume of geospatial data is growing exponentially, as traditional U.S. government sources and aerial collection are supplemented by a growing variety of commercial platforms, such as small sats and UAVs. Therefore, a major challenge for analysts is to focus on the data that matters from potentially hundreds of images a week of the same geographic extent. “We have to provide solutions that work very efficiently and also look to derive more data-analytical services to queue users into the subset of data that exhibits some type of relevant change,” Morris explains. The company’s focus on imagery exploitation includes real-time situational awareness. Its Advanced Information Solutions group builds a product called iCommand, a command and control solution that provides a common operating picture to military command- ers by fusing all the different data sources. “We tie into that by being able to consume the imagery data feeds or full-motion video data feeds to produce highly accurate actionable intelligence reports,” says Morris. If the remote pilot of a UAS that is flying over hostile territory sees something of in- terest in the FMV feed from the platform’s high-resolution camera, Textron’s system can extract the location’s coor- dinates. They are not as precise as those that traditional imagery analysts are used to because the platform itself is being buffeted by the wind. However, Morris points out, his company’s software allows pilots to take snapshots of areas that require further analysis. “They can bring it into our RemoteView and tie it in with what has a good geospatial referencing system—such as commercial or national data or background maps. They can fuse the real-time collection with the overhead images to get the precise geocoordinates, as well as notate ingress and egress routes, lines of com- munication, etc., to produce a very rich intel product that can be shared.” This broader view also provides better context because often UAS are focused on small areas. As Feature Analyst ingests images, it is able to recognize features, such as vehicles on an airstrip, based on training examples. An analyst might use this data analytics capability to automatically count the number of those features in an area. In another scenario, Lidar Analyst can be used to do near real-time mission planning by ingesting lidar data and automatically generating 3D models of the terrain, trees, and buildings. Many non-military government and commercial organizations also use Feature Analyst and Lidar Analyst. Among them, Morris cites the U.S. Forest Service and the U.S. Bureau of Land Management, who use the tools to recognize and map natural features, such as certain types of vegetated areas or water bodies. Commercial mapping companies also use those products to produce data. RemoteView, Textron’s flagship product, provides the core imagery-analyst capability for the NGA and their mission partners throughout the world. It is also used by all branches of the U.S. armed forces. “The core of RemoteView is to provide all your standard imagery exploitation tools, imagery enhancement, smooth panning and roaming throughout incredibly large datasets, without any visual tearing or stutter,” says Morris. An extension called Virtual Mosaic stitches together multiple images to create mosaics. A “soft-copy search process” expedites change detection by enabling users to compare before-and-after images by means of a two-color (red and blue) view, blending and flickering the images, or swapping them. To take these exploitation capabilities to the cloud, Textron has developed a product called RVcloud that puts some of the core features of RemoteView into a web interface. “So, instead of using your traditional thick client RemoteView, users are now able to exploit imagery through Internet Explorer or Google Chrome,” Morris explains. To enable users to move traditional 2D image analysis into 3D, Textron developed 3D Pro. It lets you overlay an image on the underlying terrain and then do 3D analyses—such as line-of-sight, viewshed, and fly-throughs. It also facilitates mission planning and rehearsal and the creation of 3D intelligence products, such as 3D PDFs or OpenFlight models. V-TRAC enables Textron’s customers who are mostly traditional image analysts to exploit FMV data. Unlike commercially available full ISAR platform suites, Morris explains, the product is geared toward providing imagery analysts with the ability to pull out relevant information from FMV. To help users tie all the data together, organize it, and make it searchable, Textron created GeoCatalog. “It will take in imagery, lidar, elevation, and GIS foundation data, and create a searchable index that users can look at through an interactive map to pull out what data they have in a specific area that meets certain requirements, in terms of cloud cover or ground sample distance, etc.,” says Morris. 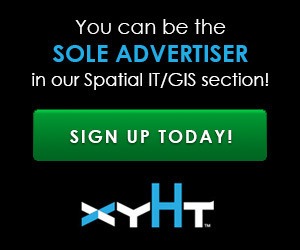 Geospatial software vendors also face rapidly escalating user expectations. “There is a misconception in the market space that the software problems have been solved, that automated feature extraction exists and works perfectly, but the fact is that it doesn’t,” says Morris. Matteo Luccio has had a life-long passion for navigation, closely related to his passion for sailing. He has been writing professionally about geospatial technologies for almost 20 years and is president of Pale Blue Dot, LLC, based in Portland, Oregon.